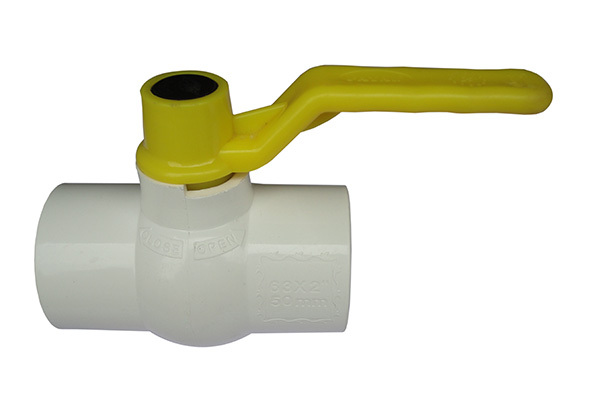 We are active in offering excellent ranges of the ranges of the U PVC ball valve in Ahmedabad. Our provided valve is broadly used in various industries for regulating the flow of fluids. This valve is easy to use and can control high volume, high temperature and high pressure flow. This valve is carefully manufactured under the strict guidance of our skilled professionals using quality assured raw material with the support of advanced technology. We are presenting our consumers an amazing range of UPVC Ball Valve with admirable Handle. Our offered range is highly used for clout of oil, water or any liquid through open well pump sets. This U PVC Valve India is well manufactured from greatest quality raw material as per the industry norms. Further, the provided valve finds its huge applications in several petroleum industries, gas or oil industry and many other related industries. These valves are well known for compact design and leak proof operations, these valves also provide support for easy installation as well as are more economical in usage. Our specially manufactured product provides the consistent service support and long working life and high quality control maintained for flawless finish.